Posted March 12th, 2014 by admin. 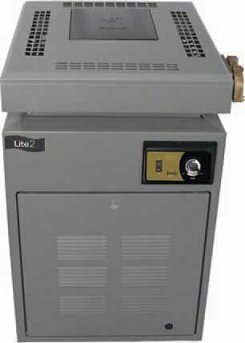 We are often asked our opinions on what are the best pool heaters and what we think of the heaters customers own. We’ve therefore asked our technical expert, Nigel to put together a summary of all the pool heaters that have been sold in the UK. Like many articles on this site, our comments are unbiased and honest. Nigel is highly regarded in the industry as a recognised expert in the repair, servicing and installation of all pool heaters and heating systems. The dogs nuts! 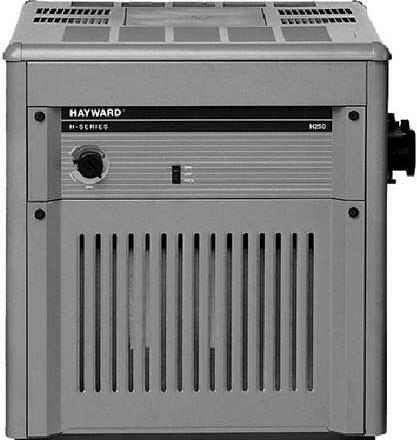 Currently the most popular pool heater in the UK and for good reason – 94% efficient and reliable (if installed correctly). Made in UK and parts are moderately priced. The current model, the ‘S’, is the mark 2 version and has been available since 2009. 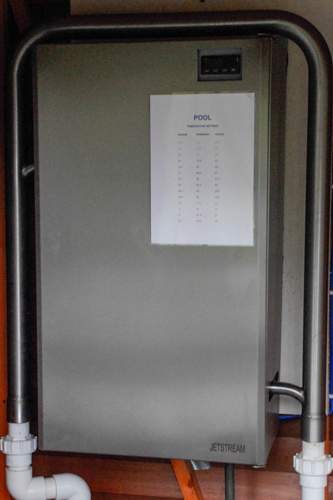 The earlier ‘C’ model was available from 2007-2008 and was a slightly different design which suffered from heat exchanger failure if the pool water balance was not accurately maintained. 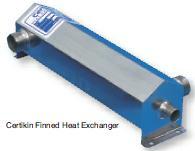 This is fixed on the ‘S’ model by incorporation of a Bowman heat exchanger. Essentially the same as a Laars Lite except made in the UK and with electronic ignition as opposed permanent pilot. 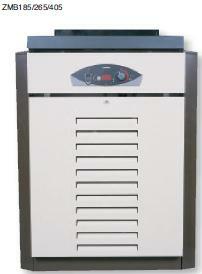 Good solid heater with no major problems and parts are moderately priced and all parts available. Smaller models can condensate in cold conditions so must have a manual bypass fitted to the pipework. Earlier Raypak and Versa models, which had a green case, are very similar and parts are still available for these. Larger version of the previous MB055-155. Later models have a digital temperature display and capron headers as opposed cast iron. These capron headers are prone to heat damage if filtration pump is too small or insufficient flow of water through the heater. Parts are moderately priced and all parts available. Made in the UK. 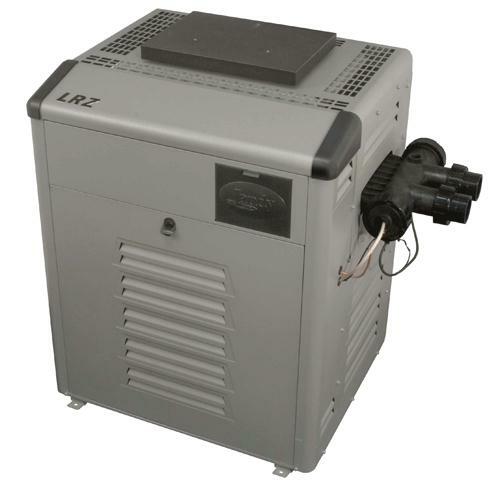 The first condensing pool heater on the market. Made in the UK. It was a good heater and market leader for a time but had a problem with the heat exchanger condensate outlet blocking up if not correctly serviced and cleaned out annually. Many still around and working well but must be looked after. 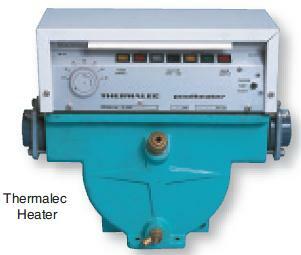 The only oil fired pool heater available in the UK. 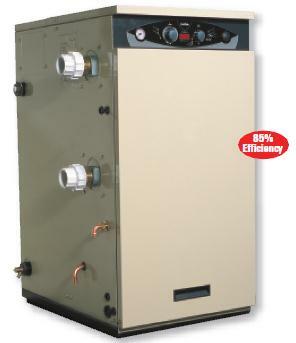 Made in Britain with an industry standard Riello burner and Bowman heat exchanger makes this a good, reliable heater. Very important to have it installed and commissioned correctly as if the combustion is not set up correctly from the start, problems will occur. Earlier Mark 1 version was similar but without digital temperature display. All parts available for Mark 1 except secondary heat exchanger so if this goes, it’s a new heater. 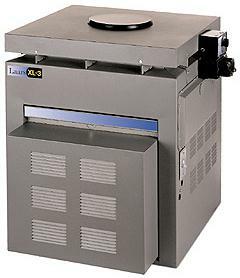 New to the market in 2012 and a replacement (in the UK) for the Laars Lite2 – see below. It has not developed a good reputation, mainly because the early models had an error on the data plate and manual resulting in the burner pressures being set too high causing premature failure of pilot generators. There are much better options out there. Update (2014) It has now been discontinued after just 2 years! New to the UK market in 2014. American made and hence, despite claiming to be terrifically eco-friendly is still only 80% efficient which is considered good in the US but not in the UK. Also claims an “ultra fast heat up time” which is pure marketing hype as it can’t be any different to any other low efficiency heater. If you want efficiency, buy a Genie. One of the most common heaters in the UK. American built, this heater has been around for over 30 years under different names with few changes. Need to be serviced annually. Common problems are with pilot lights going out and not lighting at the start of the season (usually caused by spiders making a nest in the pilot assembly). All faults easy to fix although some parts are quite expensive. American built and solid but horrendous efficiency. 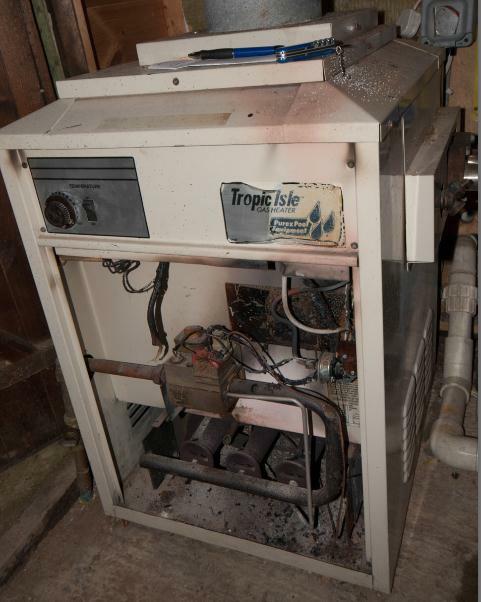 It had a typical oil burner matched to a gas type heat exchanger which made it an oddball. Between the burner and heat exchanger is a ceramic firebox which has been obsolete for years and prone to breaking due to their age. When these crack, flames can come out the back of the heater and this is what usually signals their demise. Parts are mostly available (except firebox) but very expensive. For example, a fuel pump which on other boilers costs around £100, costs over £1000 for this heater. If you’ve got one, replace it – soon! Horrendous! Wasn’t available in the UK for long – fortunately. Lots of inherent problems, exorbitant cost of parts and poor efficiency meant this heater was never popular with those in the know. If you’ve got one, be prepared to replace it soon. The Minimax was a good, American built solid heater. It is generally reliable if serviced regularly. Some parts are still available whereas some are obsolete or only available from the US which can take time to reach the UK. If you’ve got one and are not worried about the poor efficiency (<78%), then keep hold of it but keep it serviced annually. American made and very basic. Essentially a copy of the Laars Lite but not as well put together. Not many still around as they had a tendency to catch fire if not maintained correctly (like this one). If you still have one, replace it with a Genie and save >30% of your gas bill! Oh dear, Oh dear, Oh dear! If you’ve got one of these and it’s still working you’re a very lucky pool owner. Not many sold and most have now been replaced. These were even worse than the Laars LX. Hardly any spares available and most people (including us) will refuse to work on them – replace it now! These are so rare I don’t even have a picture of it! – update – I found one of a heater we removed and replaced with a Genie!! This was a good, American built heater. Some parts are still available whereas some are obsolete or only available from the US which can take time to reach the UK. If you’ve got one and are not worried about the poor efficiency (<78%), then keep hold of it but keep it serviced annually. 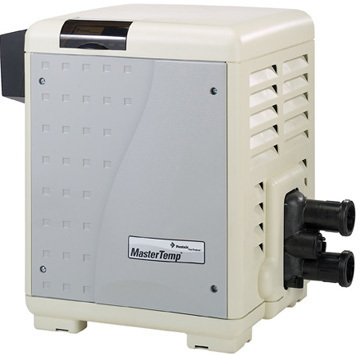 The best electric pool heater on the market. Essentially a series of kettle elements in a cast iron water chamber. Been around for years and very well built. The simple design and high build quality makes it very reliable and there is no need for annual servicing. Spares readily available and moderately priced. Built in the UK. If you want an electric heater, this is the one to have. 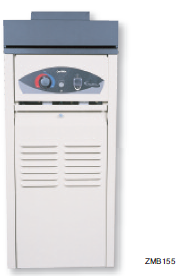 Market leader of heat pumps. 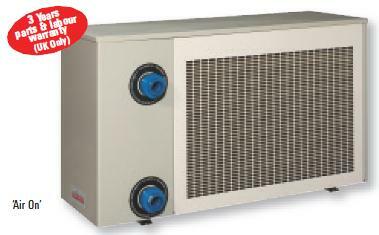 Made in the UK and all parts available, which cannot be said of most other heat pumps on the market. Another key differentiator between this and the competition is that Calorex don’t make false claims about the units performance – unlike others. If you want a heat pump, get one of these. 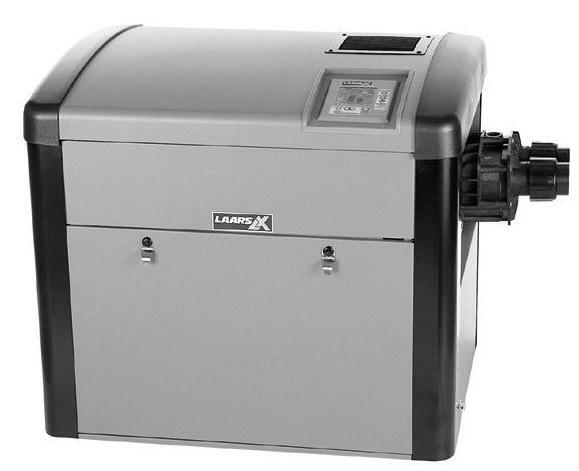 Toughest pool water heat exchanger on the market – you can even put sea water through it if you want! Used in the Certikin Genie, COH oil heater and the MBC. 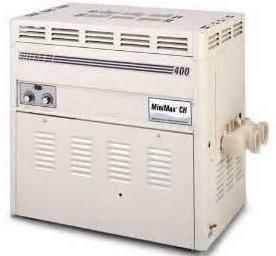 Can also be connected to a central heating boiler to heat the pool. Slightly cheaper version of the Bowman. Performs similarly to the Bowman but cannot be used on salt water pools as it is not salt tolerant – keep the sea water away!